There is no legal objection to taking children to the mosque and it is even recommended if they are discerning. The aim is to inculcate into them the habit of praying, raise them to love and become attached to places where Muslims gather to worship Allah the Almighty and to make this an inherent part of their personality. All the while, one must be careful to teach them good manners, forbid them from distracting others who are praying or creating chaos in the mosque. One must also assume a gentle and lenient manner and exercise patience without frightening or intimidating them. Overreacting may shock a child and generate fear of the place; the principle is to raise a child to love mosques and be attached to them. The Prophet said, “There are seven whom Allah will shade in his shade on the Day of Judgment when there is no shade except His … a man whose heart is attached to mosques …” [Bukhari]. A child should know that the mosque is a place full of grants, mercy and blessings. When I saw these two boys stumbling, I did not have the patience to wait until I had finished. [So I interrupted the sermon] and went down to them” [Imam Ahmed, Abu Dawud, at-Tirmidhi, an-Nisa`i, Ibn Majah, Ibn Haban and al-Hakim]. 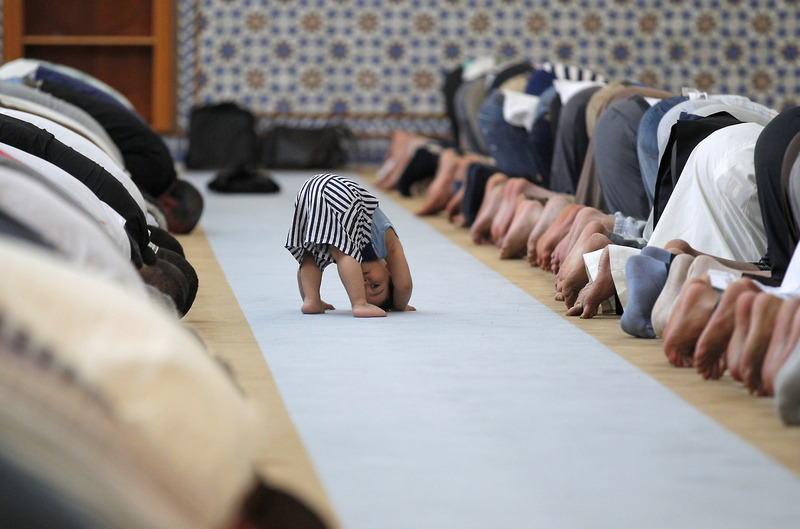 From the above hadiths as well as from others, scholars have deduced the permissibility of taking children to mosques though they excluded those who continue in their unruly behavior even when admonished. In spite of this, children must be advised in a gentle and warm manner.